It’s not legal to go independently to Cuba, yet, but you can practice drinking Cuban coffee at several places in town. My favorite is the Cuban coffee at Azucar in Ocean Beach. If you don’t know what Cuban coffee is there are plenty of websites trying to sell you some, but you can’t beat having it made for you in a café. It’s an espresso, but what makes it distinctly Cuban is the addition of sugar to the expresso pitcher. Somehow the heat from the espresso making process infuses a sweeter taste than just adding sugar to your cup. A conventional Cuban coffee is espresso size, but because I always want more I go for Azucar’s Café con Leche, a slightly bigger Cuban coffee. The owner of Azucar was born & raised in Miami to Cuban parents. She had direct teaching from her mom & practice on family members, but additional training at Le Cordon Bleu, receiving their Grande Diplomme. Azucar is Spanish for sugar & she does sugar so well. See her luscious cakes, desserts, and cookies in her gallery: http://iloveazucar.com/gallerific/indexGallery.php. Treat yourself to a cupcake or cookie with your Cuban coffee! Ocean Beach (OB as it’s called by locals) is worth exploring, too. See what there is to do here at https://oceanbeachsandiego.com/. Click the “Beach cam” blue button in the upper right corner of this link to get a live look at the beach (unless it’s dark, of course). There always seems to be free street parking along Newport, except Wednesdays when Newport is busy with the farmers market from 3:00 on. 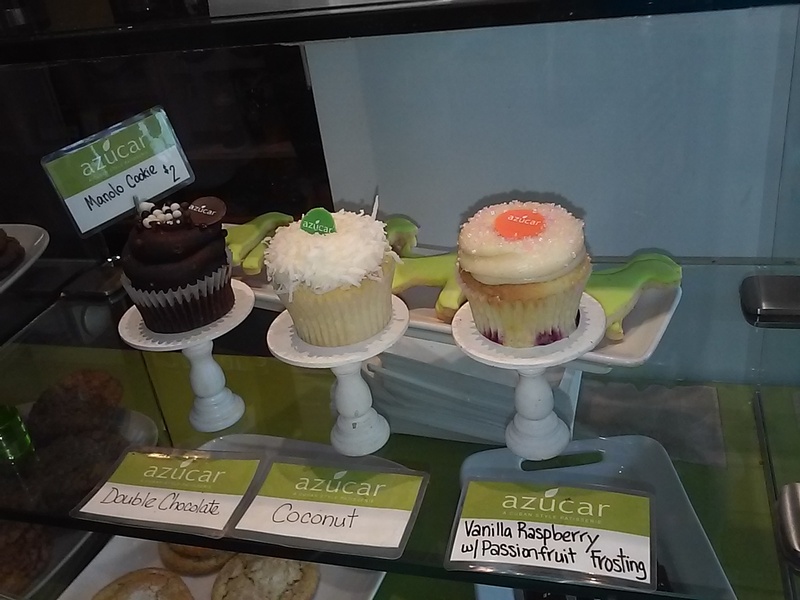 Azucar closes at 6:00pm, though, so don’t go to OB too late! This entry was posted in Cuban coffee, near the beach and tagged Cuban coffee, Ocean Beach, pastry. Bookmark the permalink.